In 2018, to celebrate the 70th birthday of the NHS, patients and staff joined together to reflect on the achievements of one of the nation's most loved institutions. 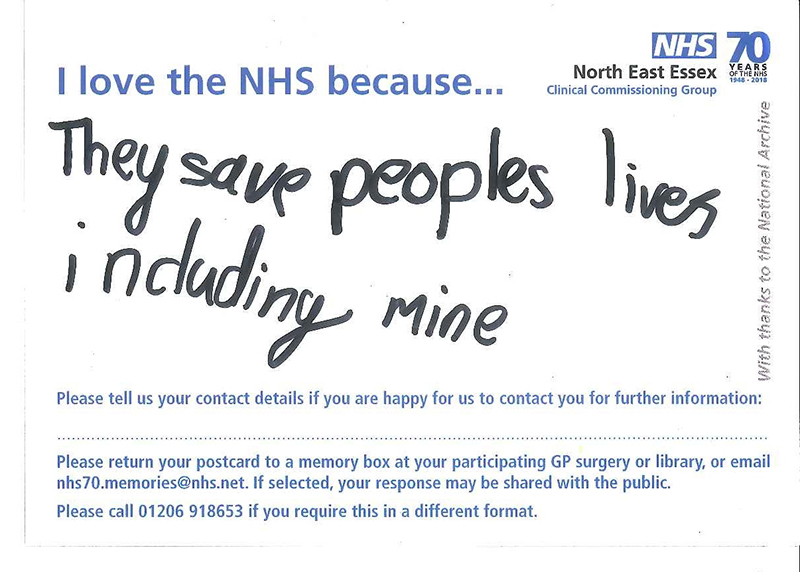 We invited the community to share their memories of the NHS via special postcards. 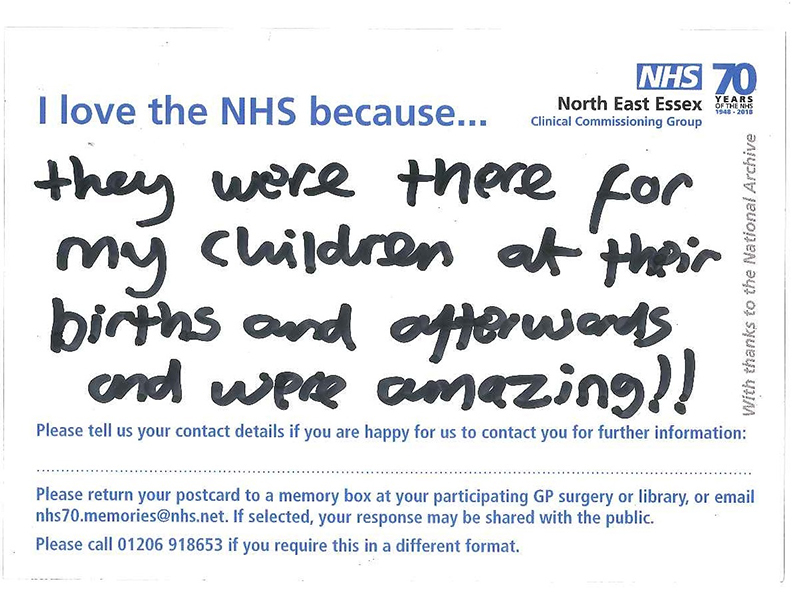 Many postcards were received from across Colchester and Tendring, with boxes available at locations including GP practices, libraries and parkruns. We'd like to say thank you to everyone who took part and shared their heart-warming and unique stories, and all colleagues who helped to create these memories through their service to the NHS. In early 2019, a display will be unveiled at Colchester Hospital showing lots of responses to these postcards. 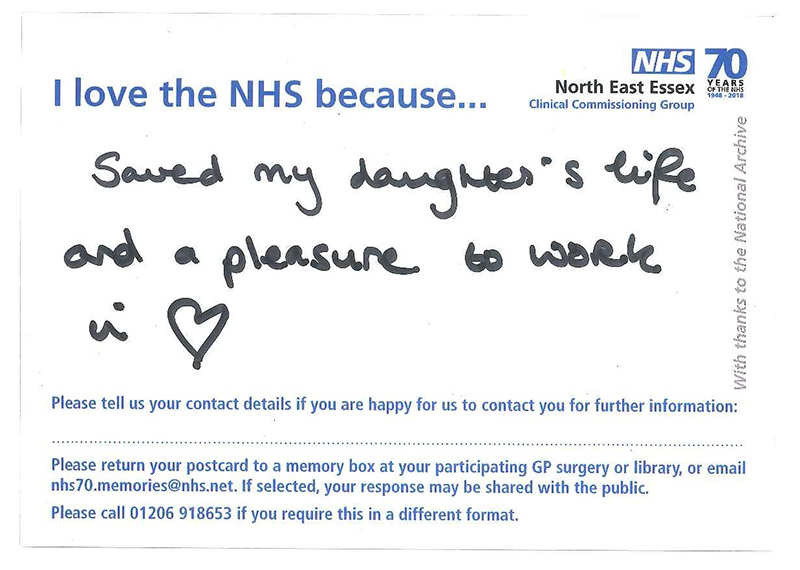 Here is a preview of some of the reasons why our residents said they love the NHS. 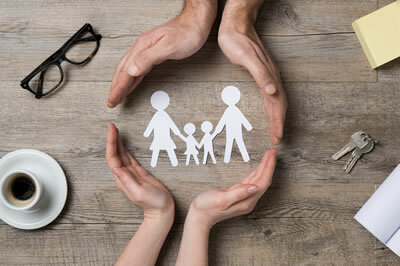 "They were there for my children at their births and afterwards and were amazing!!!" 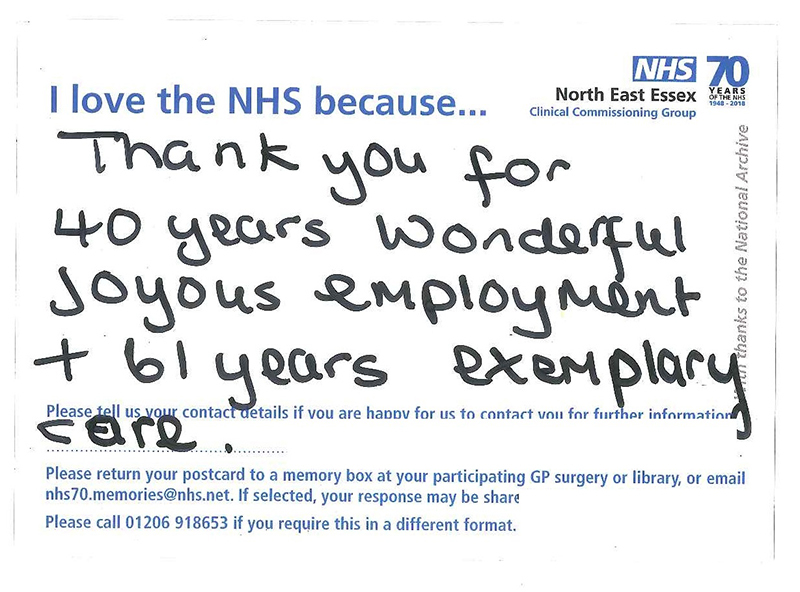 "Thank you for 40 years wonderful joyous employment + 61 years exemplary care." 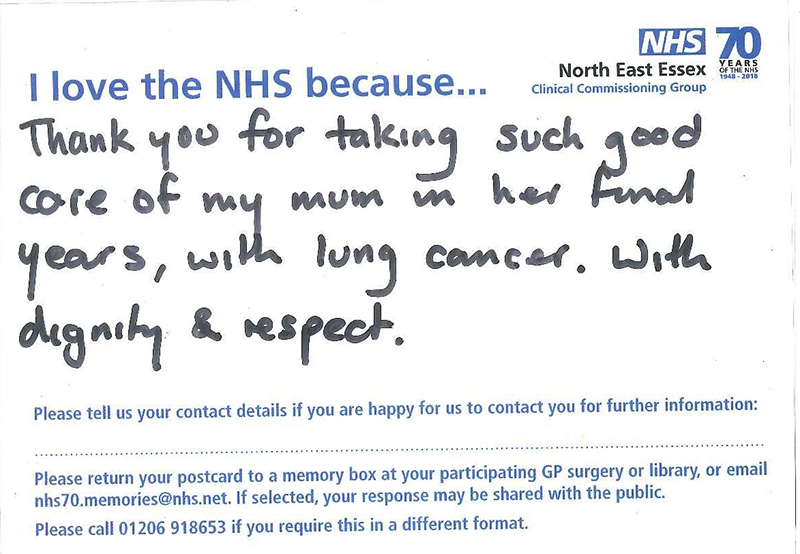 "They save peoples lives including mine"
"Saved my daughter's life and a pleasure to work in [heart drawing]"
"Thank you for taking such good care of my mum in her final years, with lung cancer. With dignity & respect."